A tiny city that’s fast becoming a powerhouse of the Middle East, the dizzying growth of Doha is an incredible sight to behold. While its ever-changing skyline is increasingly filled with huge impressive new structures, most of the major attractions, from renovated historic souks to art complexes, are just a short taxi ride apart. The brand new luxury hotels, huge skyscrapers and designer malls are an obvious draw, but it’s Doha’s growing cultural heart that is fast becoming the real star here. 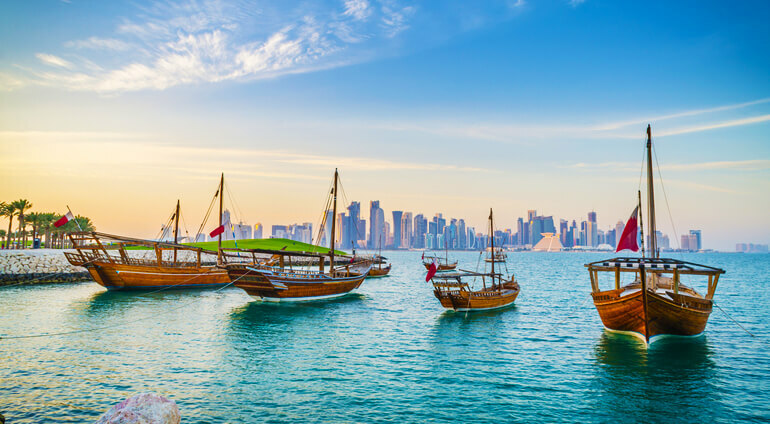 Globehunters offer flights from Australia to Doha, with direct flights operating from Melbourne and Perth and flights with one stop from Sydney, Brisbane and Adelaide.